Kratom and diabetes have a long association in Southeast Asia. Kratom, the leaf of a tree that is indigenous to Thailand, has been traditionally used to treat diabetes there since before recorded history. Type-2 diabetes — the most common form – is essentially a malfunction of our insulin’s ability to transport blood sugar into our cells for energy production. Kratom has been shown to help with restoring insulin function — exactly what most type-2 diabetics need. Unfortunately, there has only been one study that demonstrated this breakthrough. Evidently no drug company was interested in the possibility of creating a blockbuster drug to more effectively treat diabetes — a major epidemic disease that affects people worldwide. This tells us more about the pharmaceutical drug industry’s business model than it tells us about this very promising herb and its value in treating diabetes. The sad truth is that the pharmaceutical industry, when we observe their actions, apparently doesn’t WANT to cure anything, no matter what they say. There is simply too much profit to be found in treating the symptoms of diseases — and nowhere is this more clear than in the treatment of the symptoms of diabetes. Does This Shock or Surprise You? Diabetes gets ever more profitable as the symptoms progress into complications (heart disease, gangrene, and blindness to name only a few), which can be treated with new drugs — and eventually, surgery ( a veritable gold-mine of profits for everyone but the patient!). Why would any for-profit business ever want to cure anything? After all, they have shareholders to please with ever-increasing quarterly profits and growing stock values. When a disease, such as type-2 diabetes is “reversed”(we can’t say “cured”), the profit party is over. The patient no longer must buy their monthly supply of metformin, test strips for testing their blood sugar levels after meals, no longer will the long-term diabetics need insulin and fresh syringes. There is no further need for regular office visits to the doctor, therefore less income for the clinic. And so, it should be no surprise to the careful observer of the behavior of our pharmaceutical-driven medical system that it has no serious interest in curing diabetes. It has even less interest in treating the symptoms with any natural herb (which can’t be patented for mega-profits). To their credit, public health agencies such as the U.S. Centers for Disease Control and Prevention (CDC, for short) actually tell diabetics that it is more effective to control the disease with diet and lifestyle changes than it is by preventing it with metformin. Small changes in our diet and our lifestyle have been proven to be slightly less than twice as effective as metformin in reducing our high blood sugar, caused by insulin resistance. Then too, dietary and lifestyle changes have no negative side-effects, where metformin does. This is what most pre-diabetics and diabetics do, though many doctors now no longer mention any other choice. Of course, readers of NaturalNews are smart enough to realize that it is wiser to change their diet, limit alcohol consumption, avoid tobacco use, and get a modest 150 minutes of exercise each week, than to submit to the side-effects of metformin. There is another fact about metformin, that could actually be making your diabetes much worse. See this brief video to learn what that is. 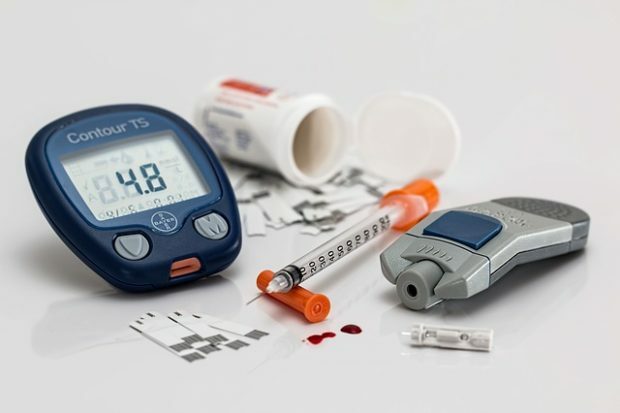 Nevertheless, the pre-diabetic or type-2 diabetic still faces the ravenous appetite, weight gain, and characteristic lack of energy caused by the disease. We crave the quick energy that sugar can provide, but this causes further deterioration of our health. This is where kratom, which is criticized by the Drug Enforcement Agency for causing weight loss, can help the pre-diabetic. It has been shown to reduce appetite in laboratory mice, too. In reality, the weight loss caused by kratom is not extreme from what I’ve seen — and who wouldn’t like to lose a few pounds? The CDC tells us that by losing only 5-7% of their body weight diabetics and pre-diabetics can lower their blood sugar and stop the progression of the disease. Kratom, by reducing appetite, promoting a general feeling of satisfaction, and by its proven usefulness in facilitating the transfer of blood sugar into the cells, would seem to be the ideal herbal helper for those challenged by impaired blood sugar metabolism. Sadly, kratom has not been evaluated by the FDA and is not approved for the treatment, prevention or cure of diabetes, despite the evidence of its successful use for those purposes by the people of Thailand for centuries. Because vendors of the herb have not spent the billions of dollars necessary to prove that kratom is as safe and healthy as tobacco, alcohol, Vioxx, and acetaminophen, it is automatically suspected of being deadly, despite the centuries of safe use by millions of the people in Southeast Asia. Why not try it yourself as hundreds of thousands of other Americans have?